I saw this tag on Vicki’s blog at The Page Turner and thought it would be a fun get to know you post. I enjoyed reading Vicki’s answers and went on to check out her blog after I read this post. She is one busy woman! 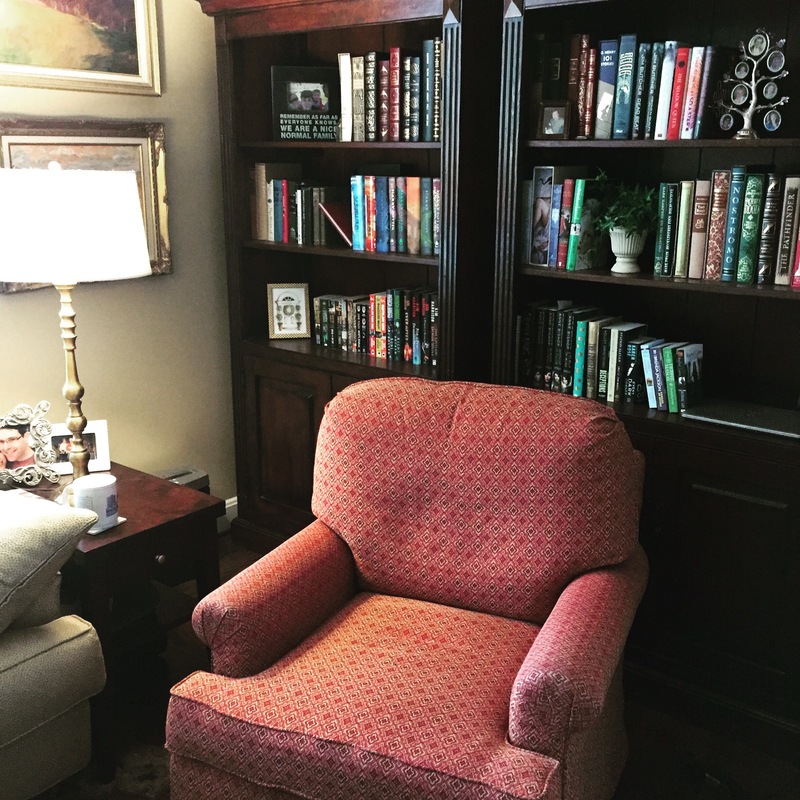 Mother, grandmother, writer, blogger….wow! Check out her blog if you haven’t already, she’s got some great writing samples, tags and reviews. I don’t really have a special place for writing my blog posts. I’m usually in my living room with my feet kicked up on the coffee table while typing away on my IPad. Right now the TV is on with a MLB Playoff game in the background. I like a little background noise and the TV on to stare blindly at when I’m thinking of something clever to say. Bookmark or random pieces of paper? Oh, I am definitely a book mark gal. 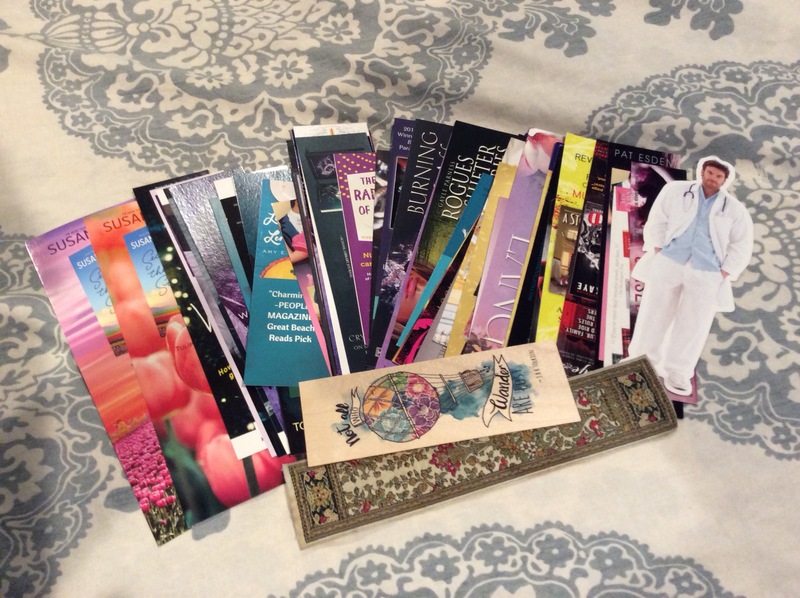 I have some nice bookmarks that I’ve picked up traveling but I also have bookmarks from publishers, authors, book of the month clubs. Oh gosh, I have them EVERYWHERE! The picture below isn’t even all of them, just a handful. Anyone want one? I’ll mail you one if you comment below! Most of the time I stop at a natural break but if I’ve pushed myself into reading through the night or until really late, I’ll just close the book. Most likely I’ll have to backtrack a few pages anyway just to remember the plot. Have you ever read when you’re really tired and then can’t remember anything? Yeah, me too! The TV is on all the time because if I’m reading my husband is watching one of his shows (Ice Road Truckers, Deadliest Catch, DIY shows..). We are in the same room so that counts as hanging out, right? Lol. Music is a whole other ballgame. That breaks my concentration and I have to leave the room. Sometimes if I’m reading a book and its good but isn’t really grabbing me, I’ll put it down and pick up something I’m more in the mood to read. I am also usually listening to an audiobook on my drive to and from work, so sometimes three at a time! Do people really read out loud? Fascinating. No, I’m a silent reader, although if it’s funny I may laugh out loud! I don’t read ahead unless it looks like the romance isn’t going anywhere or I need to make sure someone doesn’t die at the end. Mostly I read it as it should be read, in order. Break the spine??!! Sacrilege! NO! I try to keep my books in great shape. In fact, my own mother destroys books and if something is really good I’ll buy her her own copy and won’t let her touch mine. She is horrible! Not usually? But I do have a Little Free Library and will put my number inside a book occassionally if I’m putting it out for someone to take. 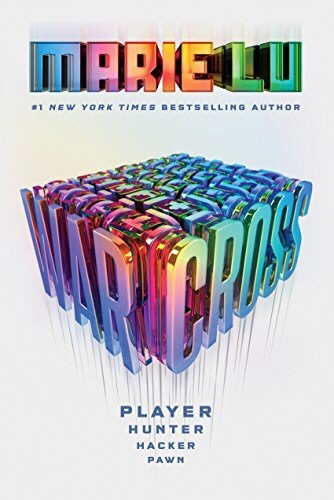 I just finished Warcross by Marie Lu, it was fabulous. 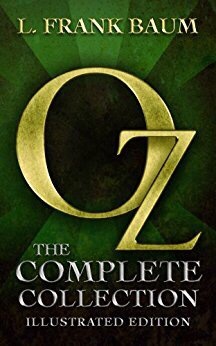 I am also listening to 2 series as re-reads. Patricia Briggs Mercy Thompson series and Ilona Andrews Kate Daniels series. And I just noticed that the names of the series are their main characters, and female. Maybe I need to branch out! If you read to the end, consider yourself nominated! It was great! I had a hard time writing the review for it because no words could do justice to the visuals she planted in my head when they were playing the game. It was pretty cool! This is one of my favorite tags – I think it’s because I love to read and therefore love to hear about others’ reading habits, particularly when they are different than mine. These are fun. There are many people off my book borrowing list for the same reason as your mom. Oh no a binder bender! Lol. I love her anyway, but she is not getting my favorite books! Lol.